The iPhone 5, latest iPad, and iPad mini are coming to China. Apple announced this morning its mobile and tablets will go on sale in China in just a few days. 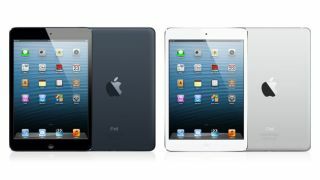 The iPad mini and Retina display-toting iPad will hit shelves on December 7, with the iPhone 5 following a week later on December 14. The downside? It's the Wi-Fi-only versions of the iPad and iPad mini. So anyone in China looking forward to getting online on an Apple tablet while out and about will have to hope the cellular models make it there at some point. There's no word which operators will be offering the iPhone 5. We've contacted Apple and will update this story if we hear back. Previous rumours said China's biggest network, China Mobile, wouldn't be offering the handset. Which would be a bit of a blow for Apple, considering the network has around 700 million mobile subscribers. But the second and third biggest operators, China Unicom and China Telecom respectively, confirmed earlier this month that they would offer the iPhone 5. Anyone in China looking to pick up an iPad or iPhone should head to their nearest Apple Store, Apple reseller, or online. Pre-orders begin on December 6.